The company consists of full engineering discipline to provide solution to various industries according to its technical structure. The company has dynamic approach towards refinement of necessities to give ultimate results beneficial for parties involved. AGCC is also establishing its mechanical Division. In this respect, the company is having appropriate facilities. The division of the company is located in Jubail Industrial city. The division separate offices are also located within that compound. The company is running its own workshop facility located in Jubail industrial Area. The same has appropriate machinery tools, accessories ready for 24 hours to help in emergent needs. The company has its own inventory system, besides site operations its main storage facility is in our workshop. All such feedings are controlled from the main outlet. 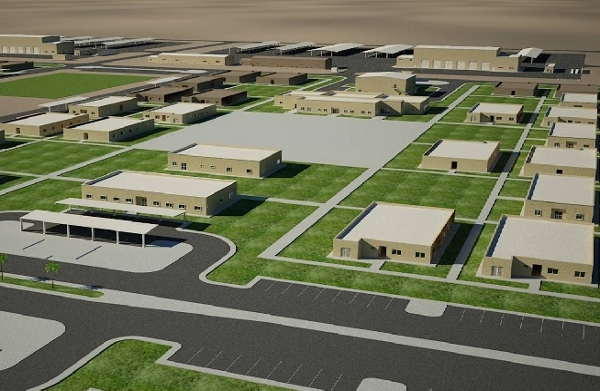 Construction of Light Infantry Brigade(17th) facilities which includes Brigade / Battalion / Company Headquarters, Class Rooms, Brigade Training Centers, Clinic, Warehouses, NCO Dormitories, Laundry, Mosque, Mess Halls, Guard/Gate Houses, Communication, Watch Towers, Generator Buildings, Parking Shade Buildings etc. The Site works includes Bulk Excavation and Backfilling, Asphalting works, Landscaping, Hardscaping, Drainage Trenches, Box/Pipe Culverts, Water Supply, Sanitary, Irrigation Distribution Pipes, Lift Stations, LPG Systems, Site Electrical Utilities, Generators, Main Distribution panel Boards, Site Lighting/Telephone System etc. 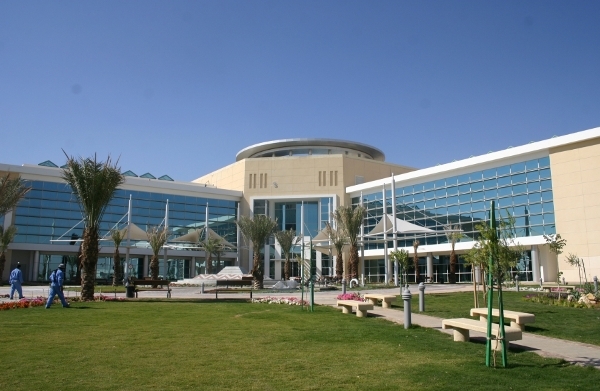 The SABIC LEARNING BUILDING project is located at the Sabic Headquarters compound situated at Airport Road, Riyadh. The contract is for the construction, testing and commissioning of the Main Building and support facilities such as electrical sub-station and pump room, including site development. The total built up area is around 13,193 sq.mt. The Main Building has 3 floors (G+2) having lobby area, 200 seating capacity auditorium, discussion rooms (22#s), a prayer hall and cafeteria at the ground floor. Discussion rooms, offices, communication room and IT Labs are located at the first floor. The admin and specialist offices, library and viewing decks are at the second floor. P.o. Box 869, Al-Jubail 31951, K.S.A. Copyright © 2015. Altaf General Contracting Co. All rights reserved.